Glasdon Group Limited has evolved from the single one man business founded over 50 years ago by the Group Chairman, Donald J Sidebottom MBE, FCIHT. With present turnover exceeding £30 million and the number of employees exceeding 300, the hallmarks of success have been proven to be total personal commitment and unrestricted emphasis on innovation, quality and customer service. Team spirit is fostered at all levels of the Group and employees are encouraged to participate in the development and growth of the business and share in its success. Customer care and new product innovation have established Glasdon as a market leader in the design and manufacture of award-winning litter and recycling bins, road safety products, a diverse range of building systems, shelters, seating products, notice and display boards, water safety products and snow-clearing equipment. Glasdon U.K. Limited serves over 50,000 customers throughout the UK including national and local government departments, public utilities, retailers and leisure companies plus a broad spectrum of British industry and commerce. The Company is constantly evolving to meet the specialised demands of its ever-growing number of customers with an emphasis on design and value for money. Either direct or through our network of distributors, Glasdon International Limited markets Glasdon products throughout the rest of the world. With distributors in over 70 countries and an ever expanding product range Glasdon International is gaining success in new and developing markets. Based in France, Glasdon Europe Sarl markets Glasdon products in France, Belgium and Spain. 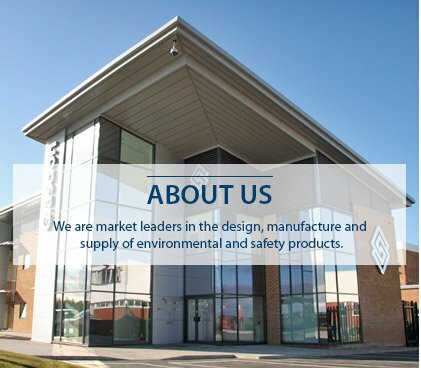 Having been established in these markets for many years the team have developed strong, loyal relationships with our French, Belgian and Spanish customers. Glasdon Europe AB markets Glasdon products in Sweden, Norway, Denmark, Germany, Poland and the Netherlands. Glasdon products have proven popular in these markets due to their high quality and durability. Based in Richmond, Virginia, Glasdon, Inc. is dedicated to providing Glasdon products directly to the USA. Glasdon, Inc. is gaining a lot of success within the recycling market, with new products being designed to cater specifically to our American customers.